This course will assist you in understanding what necessities are beyond your family’s disaster preparedness plan. 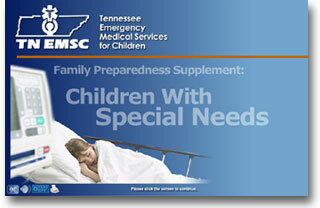 It will aid you in pre planning for both evacuation and staying at home during a disaster event. This course will give you practical ways to develop a circle of support and will stress the importance of an Emergency Information Form (EIF) that will provide for the children of your family with special needs. A resource to obtain an EIF is included along with other very useful links.